The weather right now is kinda in that funky stage (as if you hadn’t noticed). Cool(er) mornings and evenings but still warm(er) during the day, but you know not that sweltering heat (honestly ANYTHING that is not 100+ degrees feels ‘cool’ to me). So this weather funk has me in a kinda food funk. I want all the traditional fall foods (soups, chili, casseroles, pumpkin and apple flavored treats, hot apple cider, and hot chocolate, hearty bread) but it really isn’t just *quite* cool enough for these things. But according to the calendar it should be! That’s why I love this salad full of fall flavors like juicy, plump dried cranberries, nutty pecans, crisp, crunchy apples, tangy blue cheese, and a creamy, tart, and slightly sweet poppy seed dressing. 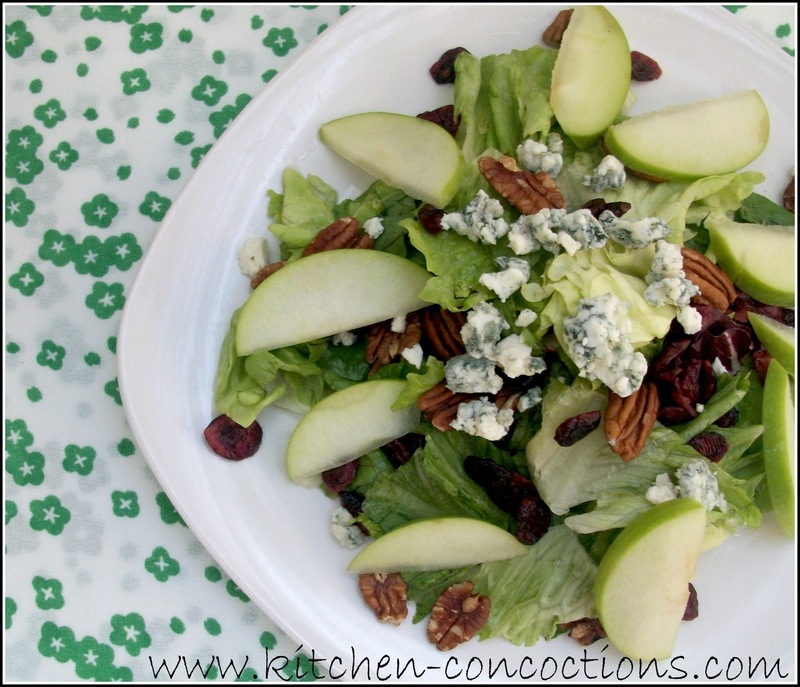 This salad is perfect this time of year, fall flavors in a light and refreshing salad! 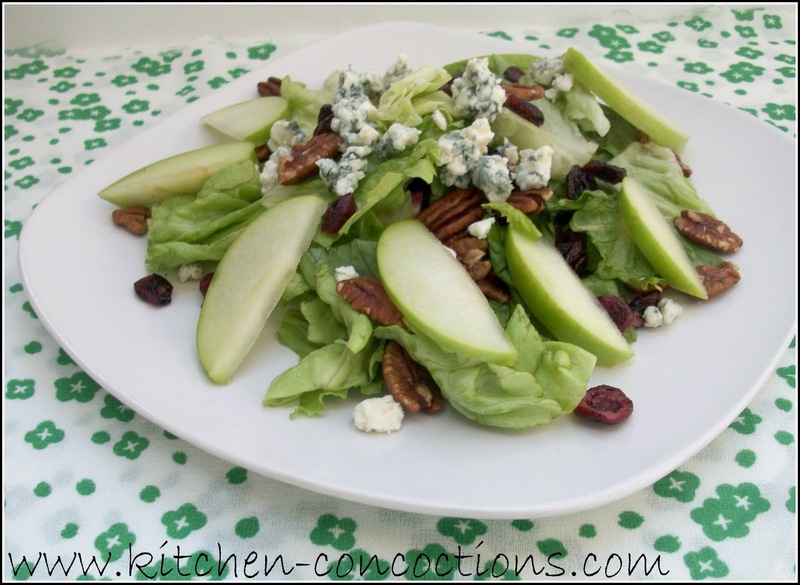 Combine salad greens, apples, cranberries, and pecans in a large bowl. Right before serving toss with desired amount of dressing. Serve topped with blue cheese crumbles. In a jar with a tight-fitting lid, combine all of the ingredients; shake well. Cover and refrigerate until serving.